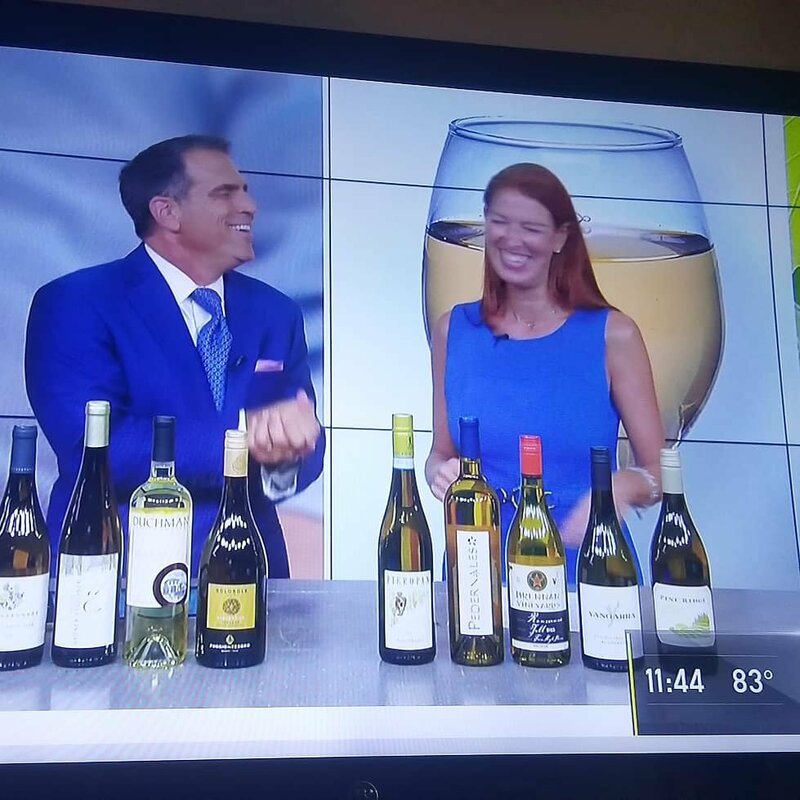 There is a whole category of wines considered to be “interesting white wines.” Basically the term generalizes every wine that is outside the most traditional international varieties, i.e. 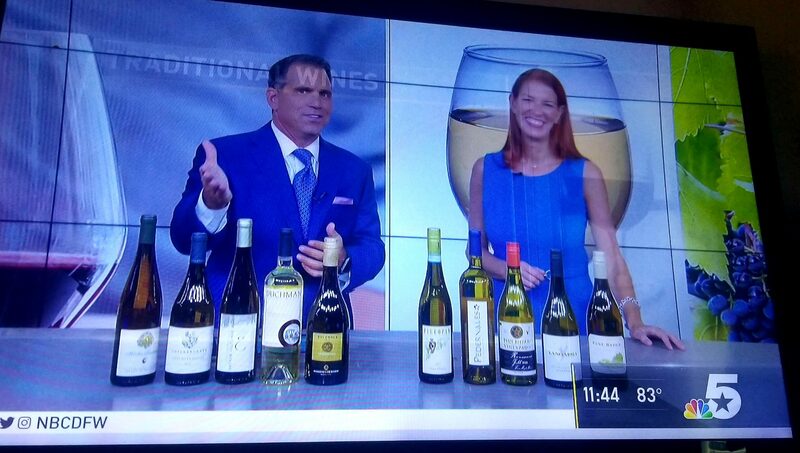 Chardonnay, Sauvignon Blanc, Pinot Grigio, etc. These are highly aromatic, lush, balanced wines with heritage, history and great character, like German favorites like Riesling, Austrian Muller Thurgau, stellar Italian Vermentino, beautiful Spanish Verdejo and so much more. 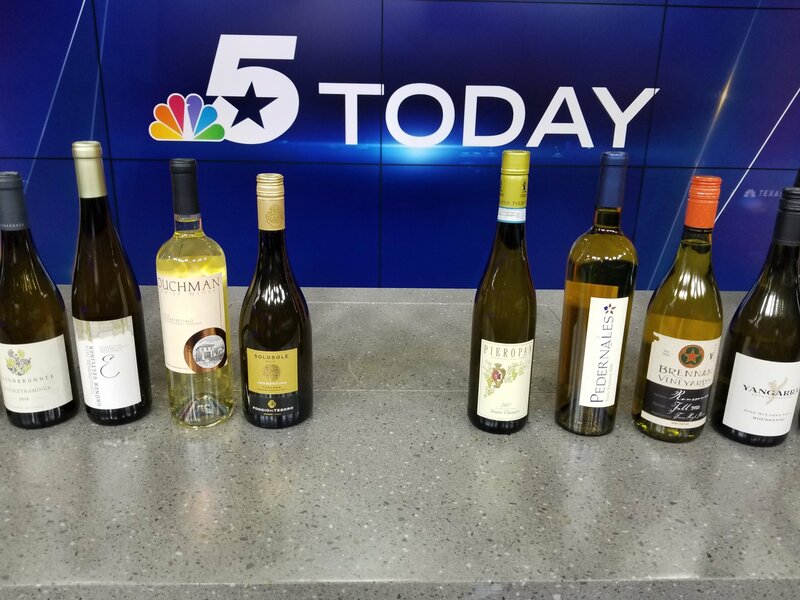 This morning at 11am on KXAS-TV/NBC DFW I celebrate a few of these international white wines from around the world, and right around the corner, as many of these non-traditional varieties have become the gold-standard for producing great wines in Texas. More on the wines for today below. A link to the segment is here. For more tasty wine tips follow me on Instagram @DallasUncorked. One of the most interesting wines from Alto Adige is Kerner, a crossing of Riesling and Trollinger that originated in Germany. Not much exists anymore, but when it does it is quite beautiful with incredible acidity and freshness, melding with white flowers, stone fruit and lemon cream. Abbazia di Novacella produces one of the best, celebrating high altitude vineyards dotted throughout the region, ensuring the freshness stays intact. 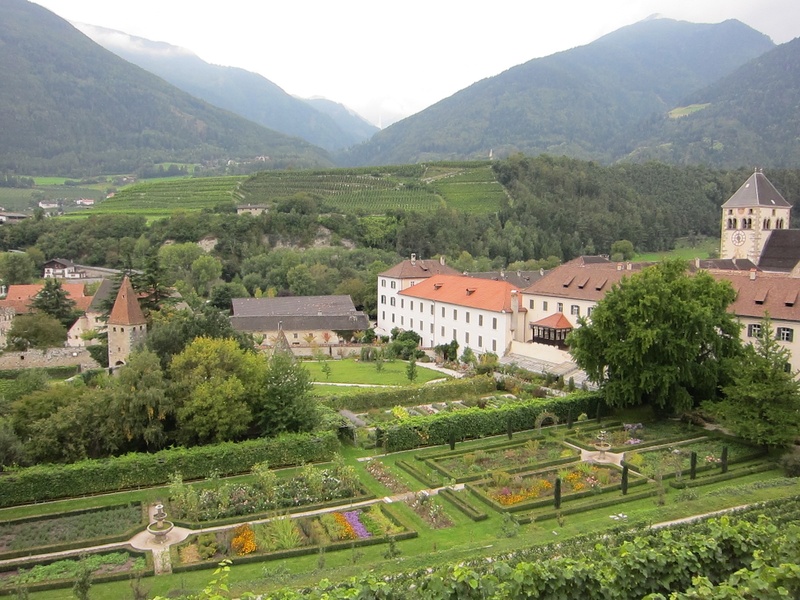 Also from Alto Adige, the Gewürztraminer from the region is some of the finest in the world. The wine in the glass is so similar to tasting the fruit straight off the vine with a gorgeous line of minerality enhancing wild rose and ripe stone fruit notes. Tieffenbruner Gewürztraminer makes my heart melt, with candied fruit, honey and spice. Quite unusual, Alto Adige’s Valle Isarco DOC Muller Thurgau celebrates everything I love about Alto Adige, lean, steely minerality with incredible acidity creating a white flower, crushed stone and spice filled wine. The Rhone region of France shines with aromatic varieties like Viognier, Roussanne, Grenache Blanc and Marrsanne. Texas vintners have foudn these varieties also grow beuatifully in our dry Texas soils. Pedernales Cellars Viognier shines with notes of apricot, white peach and honeydew. From California, Pine Ridge blends a touch of Chenin Blanc with Viognier for a highly aromatic wine filled with classic stone fruit notes as well as fragrant white flowers and a hint of spice. Biodynamically grown Roussanne from Australia’s Yangarra is sublte, yet seductive, with layers of Asian spice, savory earthiness and smoky finish with length and texture. 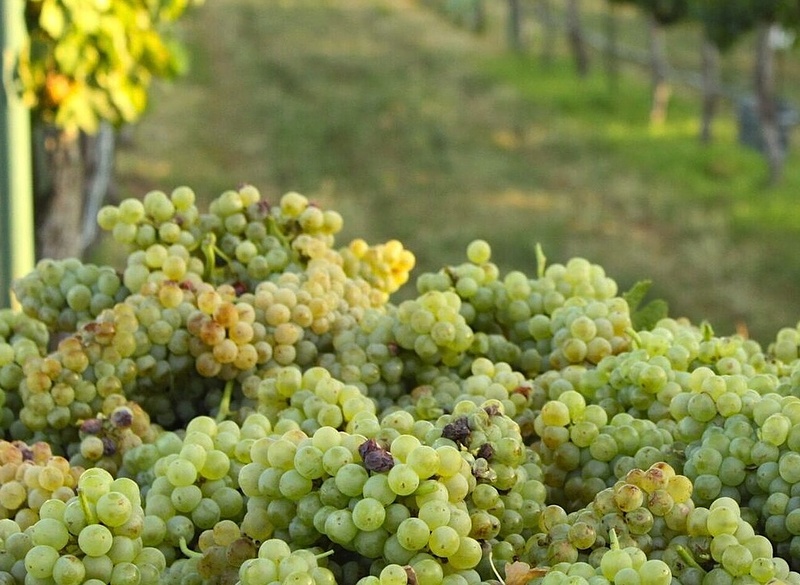 Of the 300+ varieties that grow in Italy, two of my favorite are Vermentino and Garganega. From Soave DOC in Veneto, Pieropan highlights the complexity of Garganega in a well-balanced elegant wine with layers of blanched almonds, white flowers and lemon verbena. Poggio al Tesoro “Solosole” Vermentino from Tuscany allows the floral notes of this vibrant, sunshine filled wine to shine with magnolia and acacia notes. Texas also does incredibly well producing Italian varieties, like Vermentino. And, one of the best comes from Duchman, elevating the yellow fruit notes along with white flowers, and intense minerality .